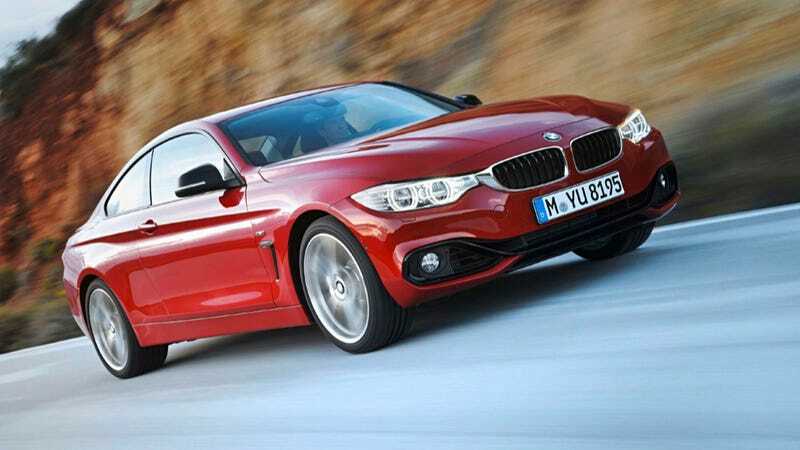 In a move to bring their naming in line, BMW has switched the coupe versions of cars to even numbers, which makes the 3er coupe the 4er. So what do we get? Well, we get a car that looks very much like the 4-Series concept we've seen all over the place, Bimmerang fender vents included. Expect power to come from the same engines as the 3-series sedan, so that's a selection of turbo four and six cylinder engines. Also expect the same 'modern,' 'luxury,' and 'sport' trim levels that are on the 3er. The interior also looks fantastic, with the delicate wheel from the new 5 and 6 series. The rear is a little 6-series-esque too, which I'm not complaining about. I think it looks really good. Like really good. Even the Bimmerang. What do you think?